A tour of the Key West Butterfly Conservancy enables guests to experience a tropical paradise inhabited by butterflies from 50 to 60 different species. In addition to these beautiful insects, the conservancy is home to a host of colorful birds from around the world. Highlights of a stroll through this climate-controlled indoor habitat include a remarkable assortment of flowering plants, colorful butterflies and extraordinary birds set against a backdrop of lush vegetation and tumbling waterfalls. 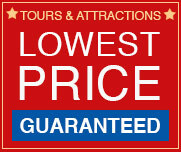 During your breathtaking journey you will experience an impressive collection of flowering plants, colorful birds, cascading waterfalls and trees that set the stage for the flowers of the sky. 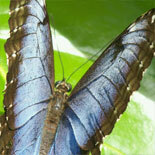 Witness some 50 to 60 different species from around the world, all under a climate controlled, glass enclosed habitat. 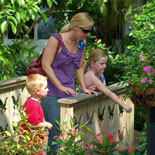 The Key West Butterfly Conservancy provides a unique opportunity to view the behavior of various butterfly and bird species in a tropical setting. The collection has virtually every conceivable combination of shapes, color and sizes, including a butterfly with an 11-inch wingspan. 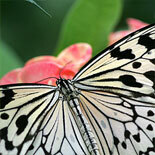 The butterflies were acquired through a captive breeding program rather than the wild. Well suited for tropical regions, the program is an eco-friendly endeavor. The curators release some inhabitants into the local ecosystem where they flourish and cultivate indigenous flowers, shrubs and trees that serve as host and nectar plants. The Learning Center enables guests to explore the lives of butterflies as well as their feeding habits, anatomy, physiology and migration patterns. It is also possible to get an amazing up-close glimpse of a variety of live caterpillars as they feed and develop on their host plants. Take time to browse through the gift shop and the Wings of Imagination, Butterfly Gallery where you can find a wide range of unique butterfly and other nature-themed items as well as original works of art. Feel your stress fade away as you enter our magical world of butterflies. Daily 9:00am to 5:30pm. Last tour at 4:30pm. Closed Christmas. 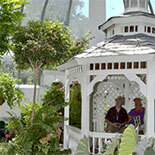 Redeem your eTickets at the Key West Butterfly & Nature Conservatory ticket booth. Attraction Location: 1316 Duval Street (one block north of the Southernmost Point). Parking is available in the back of the Conservatory for our customers only. Entrance/exit gate locks for the evening at 6:00 PM. 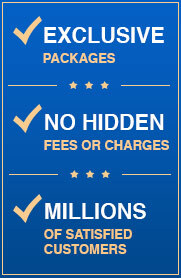 Children prices are 4-12 yrs. of age. Children 3 yrs. and younger are free.